I always cook with real butter. The only time I didn't use real butter was when I needed a quick spreadable product for breads or sandwiches. Well, I have found a way to use real butter for those things too! LAND O LAKES® Butter with Canola Oil is made with 3 real ingredients: sweet cream, canola oil and salt— that’s it! It has fewer ingredients than any other spreadable butter or non-butter spreadable products. Most non-butter competitors have as many as 15 ingredients. LAND O LAKES® Butter from Plain Chicken on Vimeo. The best part about this product is that it is spreadable right from the refrigerator! Look how easy that was!!! We had these potatoes when we got home from our Vegas vacation. I stopped by the grocery store and picked up some fried chicken and potatoes. The LAND O LAKES® Butter with Canola Oil really enhanced the flavor of the store-bought potatoes. They actually tasted homemade! It was great to be able to eat a hot meal in minutes after being out of town. Breakfast is a hectic time. Trying to get everyone ready for school and work, nobody has time to wait on butter to soften. LAND O LAKES® Butter with Canola Oil is the perfect solution! Grilled cheese sandwiches are one of my favorite quick lunches. 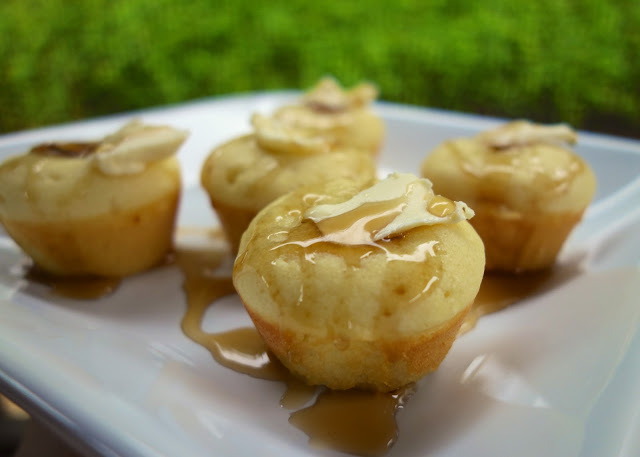 LAND O LAKES® Butter with Canola Oil is the perfect fit for this! Slather it on the outside of the bread and let it crisp up in the skillet. No more waiting on the butter to soften. Lunch is ready in minutes! We are big bread fans. I usually make a quick roll to go with dinner. We used to use spread, but now we love to use LAND O LAKES® Butter with Canola Oil. I use it on top of biscuits and even on refrigerated rolls before I bake them. 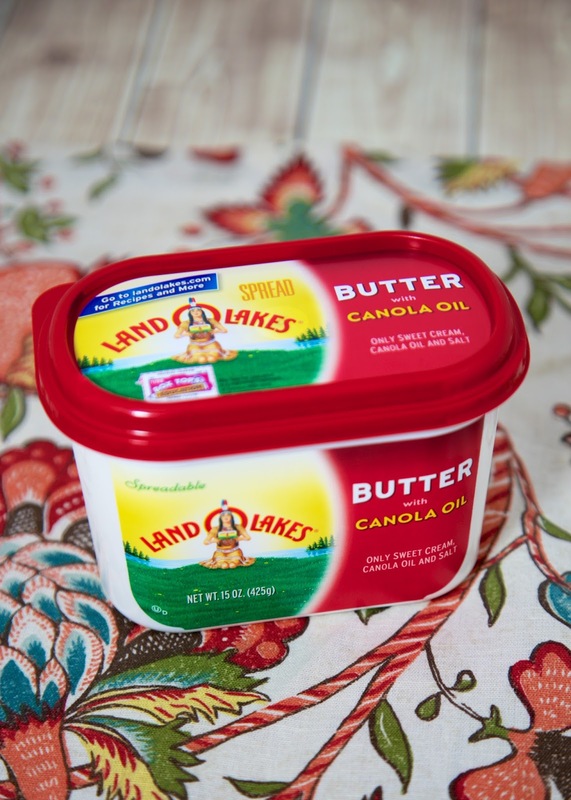 Have you tried LAND O LAKES® Butter with Canola Oil? What are your favorite foods to top it with? You can check out LAND O LAKES® Butter with Canola Oil here. We're giving away a $100 Visa Gift Card! Read below on how to enter! I have used it & love it! We use it when we are steaming veggies. So good! I've never tried it but it looks really good. I would put it on fresh rolls or toast. I've not tried this Land O'Lakes Butter w/ Canola Oil, but I love the stick butter so I'll check this out!! I only use Land O'Lakes now. Stick butter, spreadable butter, Garlic N Herb and Cinnamon and Sugar. I cook with butter all the time and this is one of our favorites! Land O'Lakes products are phenomenal !!! Once I discovered this butter, I just decided to pretend that there is no other kind. I love Land O'Lakes products! I love Land Of Lakes spread, it tastes great on everything you put it on. I can't have my morning toast without it. My whole family loves it, I buy three of the biggest containers of it each month and we always run out. We love it on almost everything, warm biscuit, mashed potatoes, toast you name it and we use it for it. How awesome that it only has 3 ingredients?? I'll definitely have to try it as I'm almost out of butter. Also - your Panini recipes sound wonderful!! I switched our family to Real butter years ago, and the only argument I have had wass the spread-ability. We haven't tried the Land Of Lakes with Canola Oil. Definitely looking forward to it. I have not tried it yet but I bet it would be good on fresh roasted veggies! This is my favorite butter to use! I have been using this for a couple years and I LOVE it! Great for making a quick grilled cheese or just about anything and has great flavor with no weird ingredients! I have been using this for years and love it! No, I haven't tried LAND O LAKES Butter with Canola Oil, but I'm a die hard olive oil and real butter fan, so I'm excited to try this! Our family loves Land O Lakes products. Great taste & great price. Now I'm really hungry after reviewing your recipes! Putting it on my grocery list. We switched to real butter a while back because of the chemicals in margarine and spreads. We will definitely try this for a spreadable option! I only use real butter and Land-O-Lakes products are the best. I love the spreadability of the butter with canola oil and the flavor is great. I love Land O Lakes spreadable butter!!! I haven't tried it yet but have heard such good things about it that I've added it to my shopping list. I would love to top some steamed veggies with it. What a good idea. I use cardamom in cakes but hadn't thought of cinnamon toast. I haven't tried this product but it looks great. I don't think there's anything better than a warm piece of bread or roll with a schmear of butter. Yum. I have used it.. on pancakes, waffles, veggies and muffins. I did not know about the Land O Lakes butter with olive oil. I too use butter exclusively. Don't even have a spread in the 'fridge. So I'll definitely check out the new product. I love your site and most of your recipes. I've pinned several and printed. I have used it, and it tastes better than butter on my Banana Nut Pancakes! Oh wow I so want some pancakes now! Can't wait to try this new butter on them. Those slow cooker rolls with melting butter are making me drool! I have not tried LAND O LAKES Butter with Canola Oil, but I would like to try it on zucchini bread or muffins. I haven't tried it yet but it would be great on biscuits. Based on this post I am going to try Land O Lakes Butter with Canola Oil the next time I go to the store! I would love to try the LAND O LAKES Butter with Canola Oil on some fresh homemade bread or on some corn bread. Yes, I have tried it, and I love it with baked potatoes! I haven't tried it, but it looks & sounds great! I'd like to try it on an english muffin - yum! I can only imagine how wonderful it would be on a warm slice of pumpkin banana bread. I spotted this at my grocery store when it first came out. I've been using Land O Lake butter for too many years to mention. I love this spreadable butter on everything, but the next thing I make is going to be those beautiful sausage pancakes you mentioned. We will love these, I'm sure of it. I also love that the spreadable butter also has the school box tops that I save for my grandson. I have not tried this yet but would like to try it on some French Toast or corn bread. I love Land O Lake products including this one. I am also an advocate of butter vs spreads. Keep it simple. I like Land O Lakes. I have it in my fridge now. It's great on French bread. I have not used Land O Lakes, but I bet it tastes great on a warm dinner roll. I'm going to check it out this weekend. I have used Land O Lakes Butter with Canola Oil, and liked it very much. Thank you so much for the opportunity to enter. This looks amazing! Going to try it soon! I would spread Land Of Lakes with Canola Oil on banana bread and pancakes. I haven't tried LAND O LAKES Butter with Canola Oil yet but I'd add it to pancakes and toasted english muffins. I have tried it, and love it. We use it for grilled cheese, toast,etc. I love to top LAND O LAKES Butter with Canola Oil with baguette. I love it on toast and pancakes. I use it in my baking, but I especially love it on a baked sweet potato! I've used it for a while now--and love it. We put it on everything--baked potatoes, biscuits, toast, veggies... Thank you. I have not tried it yet but would like to try it on my grandfather's cinnamon twist recipe. I have not tried this yet, but I think it would be great on a piece of warm homemade bread! I love to use Land O Lakes butter on my corn-on-the cob and on top of steamed veggies. I've used land of lakes butter, but never Land of Lakes Butter with Canola Oil. I would love to use this on my waffles and corn on the cob. I have tried it....it would be good on french toast & corn on the cob. I would love to top it with muffins. I love it on freshly baked bread. Mmmmm, perfect on our Saturday morning French toast! I would like to spread it on fresh butternut squash bread. Those Garlic Rolls look yummy! I'd like Land o Lakes on my blueberry muffins! I have not tried it but I bet it's be great on baked potatoes! I have not tried this particular product yet but I love the quality of LAND O LAKES products. Bet this one is great and can't wait to try it. I haven't tried it yet, but would love to try it with my homemade pancakes and waffles! Although the Land O'Lakes Butter with Canola Oil is good anytime butter would be added, I find it best in situations where cold butter just doesn't work, like on plain bread for sandwiches or on toast, where the spread doesn't tear the bread because it's soft straight from the refrigerator. I would love it to top cinnamon raisin bread. I love to put it on pancakes! I'd like to top pasta and veggies with this - thank you. Also I haven't tried this yet. Haven't tried LAND O LAKES® Butter with Canola Oil yet, but I'm a HUGE fan of regular Land O Lakes butter! I use it on everything, and especially love it on GABA brown rice with salt & pepper. Yes, I use it all the time. I put it on mashed potatoes, toast and vegetables. I would like to top a warm slice of pumpkin bread! I haven't tried it, but this would taste great on my homemade pumpkin bread! I would put this on a slice of warm bread. I haven't tried it yet. I think it would be great on roasted fall veggies. I have not tried this stuff yet but I bet it would be great on toast with apple butter! mmm! My husband loves this stuff and has to have it. He is a man who can not wait for butter to get soft for his toast! Yes, I have tried LAND O LAKES® Butter with Canola Oil. My favorite food to top with Land O Lakes butter is the Copy Cat Red Lobster Cheddar Bay Biscuits. Yum! I love this butter on everything from a toasted bagel to frozen veggies I cook in the microwave. Good butter makes everything taste better. I like putting their butter on our cinnamon toast! Yes, I've tried LAND O LAKES® Butter with Canola Oil. My favorite foods to top it with are toasted bread and popcorn. well i'm officially hungry after looking at this page! i have tried Land O'lakes butter and i like putting it on buttermilk biscuits! I haven't tried it, but I would spread it on pancakes and bagels. I have not tried it but I would love it on a dinner roll. I have not tried it yet, but I'll have to give it a whirl. 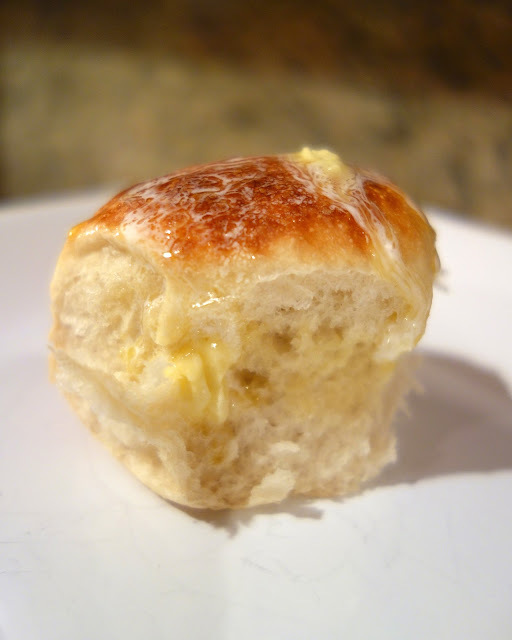 My favorite foods to top with butter are biscuits, rolls and basically any type of bread. I love that you can use this one fresh, soft bread and not worry about tearing it apart by trying to spread cold butter on it.